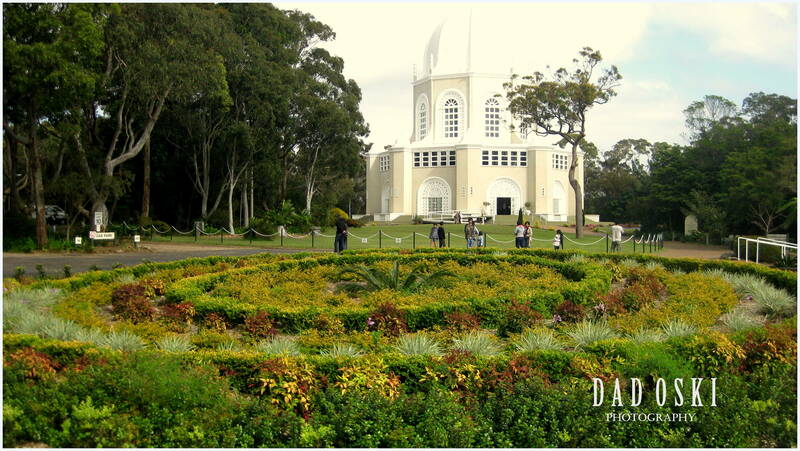 We had our first stop at the Bahai Temple when we drove up to the northern beaches of Sydney, their towering house of worship is visible along the freeway. It’s a lovely place, well landscaped with a background of forested land. Some few caretakers in the compound including those at the information/visitors building met and oriented us, shared brochures regarding their religion and told us what can be found inside the compound. We had some few photos taken here including inside the temple. Their brochures listed that the Bahá’í Faith is a monotheistic religion founded by Bahá’u’lláh in 19th-century Persia, emphasizing the spiritual unity of all humankind. There are an estimated five to six million Bahá’ís around the world in more than 200 countries and territories.